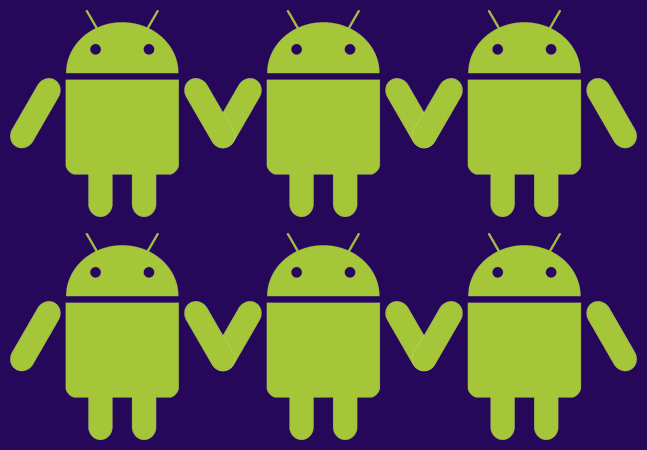 One interesting finding in a new report exploring SDK usage in Android apps is the rapidly growing popularity of Firebase, an app platform from Google that provides Backend-as-a-Service (BaaS) functionality. "Google's latest addition to its Play Services SDK, Firebase, is generating competition and entering otherwise uncharted waters, making itself one of the hottest trends of the past few months," said report publisher SafeDK Mobile Ltd., which provides a mobile SDK management platform. "Nearly 9 percent of Android apps are already actively using at least one package of Firebase, the new mega-SDK introduced by Google last May." In its second such report -- "Mobile SDKs Data Trends in the Android Market" -- the two-year-old Israeli start-up analyzed data from more than 100,000 Android apps and hundreds of vendors to explore the winners in market share among major mobile SDK players over the past six months since its first report, with per category and country metrics, as well as industry averages and updated benchmarks. 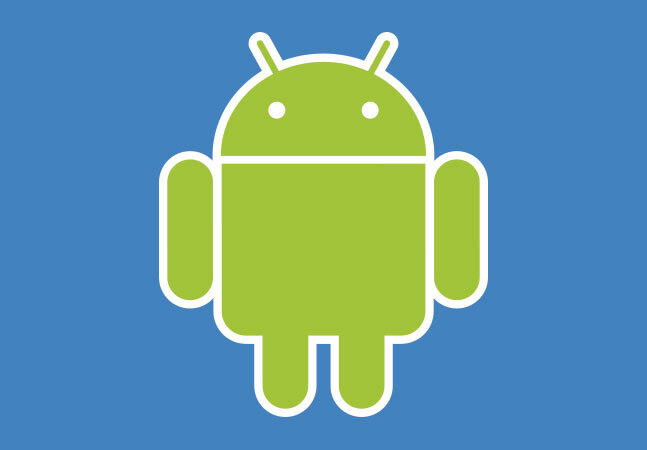 The report found that Google Play is naturally the overwhelming leader in Android SDK usage, being integrated in almost 100 percent of Android apps. However, the growth of Firebase is a surprise. 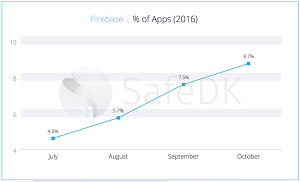 "Technically speaking, Firebase is simply an addition to Google Play Services, however we wanted to explore it separately as well in order to study Firebase's penetration," SafeDK said in the report. "Starting in July we've done a thorough analysis and found that 4.6 percent of apps were already using at least one Firebase package. The trend continues to grow with that number reaching 8.7 percent today. "The interesting thing to note here is that while Firebase integration is still very much on the rise in October, the average number of SDKs integrated barely changed since September. Could it be that publishers are simply replacing existing SDKs with Firebase SDKs?" Surprisingly, the report didn't mention Parse, a popular BaaS SDK from Facebook that's being shut down, which could account for the ascension of Firebase as it's likely one of the "existing SDKs" being replaced by Google's offering. The impending closing of Parse (scheduled to cease all operations on Jan. 28, 2017) left many mobile developers in a lurch and looking for BaaS replacements. It's even more surprising because many sources proposed Firebase as a suitable Parse replacement, exemplified by articles and posts such as "Migrate your Parse iOS App to Firebase," "Top 5 Parse Alternatives" (including Firebase), "Batch – Replace Parse with Firebase + Batch," "Switching from Parse to Firebase" and "Google's Firebase cleans up the mess Facebook left by killing Parse." 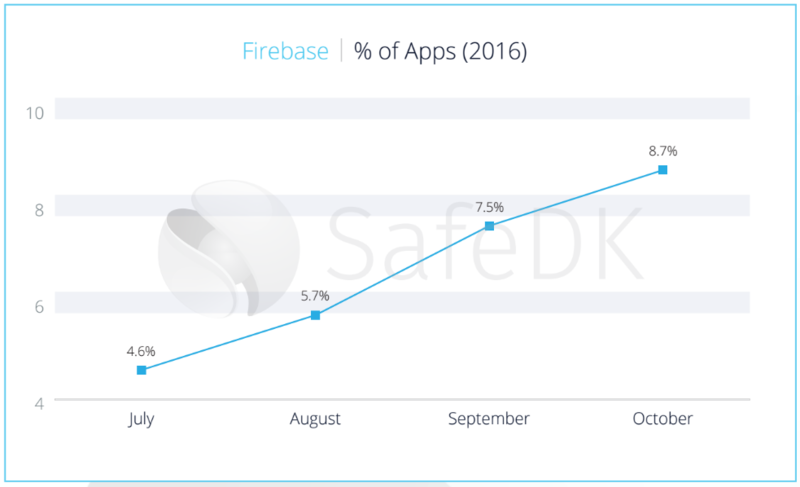 Along with increased usage of the main Firebase SDK, SafeDK also found strong growth of its Firebase Crash Reporting component, tracked in the app analytics category, specifically crash reporting. 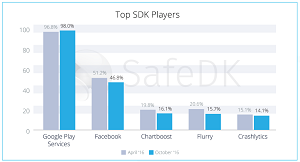 SafeDK said it's "fast becoming a fierce competitor to Twitter's Crashlytics." "Crashlytics is still in fifth place," the report said. "We saw that more apps are using Crash Reporting tools, yet as we see here Crashltyics, last quarter's uncontested Crash Reporting SDK, is used by less of the market share compared to last quarter. This is due to the appearance of Firebase Crash Reporting, which has quickly become popular among app publishers that need this capability. "Firebase Crash Reporting turned the tables. Crashlytics lost an astounding 13 percent of the market share while Firebase obtained second place with over 20 percent of the market and growing. We saw Crash Reporting getting stronger among app publishers, and it appears that new apps using Crash Reporting take Firebase, rather than Crashlytics. As the uncontended ruler of this category only a short while ago, Twitter should be feeling some of the heat, keeping an eye open on its queen and watching out for a possible Checkmate. Firebase Crash Reporting is definitely the strongest of the Firebases." The average number of SDKs integrated within apps is now 17.6 SDKs. The top SDK usage categories were analytics (reported by 88.3 percent of respondents), followed by advertising (76.4 percent), social (47.6 percent), payment (39.1 percent), location (35.5 percent), crash reporting (25.8 percent), rewarded videos (18.6 percent), attribution (8.3 percent) and marketing automation (7.1 percent). Mobile payment is rapidly growing, as more apps in the Android ecosystem are free to download but not necessarily to use in full. Android Pay is now the leading Payment SDK, reported by 45.8 percent of respondents, followed by PayPal (44.8 percent) and Braintree (38.1 percent). Crash Reporting is one of only a handful of categories that have actually grown in strength. That category was led by Crashlytics (53.2 percent), Firebase Crash Reporting (20.7 percent) and New Relic (11.9 percent). AdMob topped the advertising category (94 percent), followed by Chartboost (23.5 percent) and Facebook Audience Network (22.2 percent). Attribution analytics, or installation tracking tools, were led by AppsFlyer (56.5 percent), Adjust (21.6 percent) and HasOffers (11.4 percent). 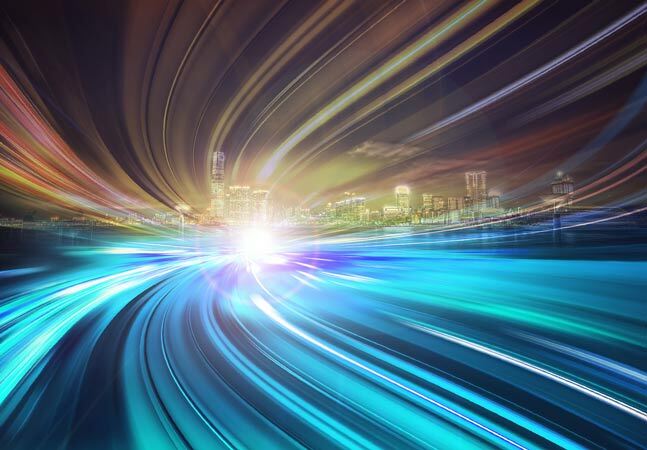 Engagement, including marketing automation and push notifications, was led by Urban Airship (22.7 percent), Pushwoosh (16 percent) and Countly (15.2 percent). Facebook was the top social networking app (78.7 percent), followed by Google Plus (37.3 percent) and Twitter (7.7 percent). 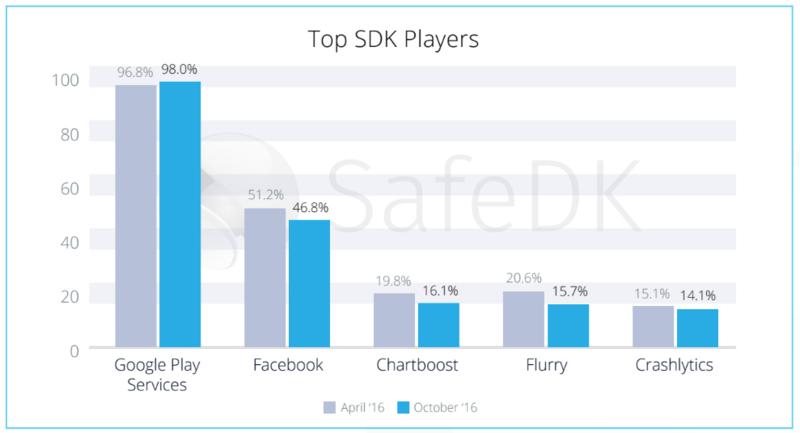 "If the past six months have taught us anything, it's that in the mobile SDKs world six months are longer than you'd think," SafeDK concluded. "The simple fact that Pokémon GO wasn't even around when we released our first report is evidence enough. The changes we presented here, either clear-cut or hints of trends, demonstrate just how fluid and dynamic the market really is. The increase in the average number of SDKs in apps is impressive."